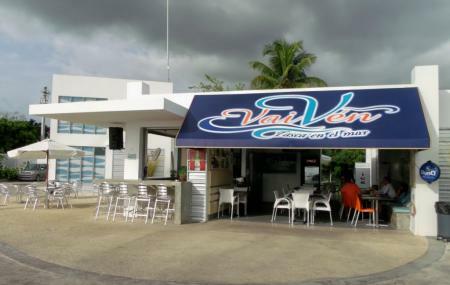 Vaiven Tasca en el Mar is a local restaurant in Cabo Rojo, Puerto Rico. Vaiven Tasca en el Mar is well known for their genuine Spanish tapas, seafood, their specialty paella, and a lot more. They also have an impressive selection of wines, beers, spirits and sangria, which is the specialty of the house. The host and owner of the restaurant, Javier, attends to the patrons personally. The chefs at Vaiven Tasca en el Mar tend to put their own unique twists to dishes, which makes each meal truly exceptional. Take your pick from a variety of delicacies, like the ‘cazuela’, the octopus salad, the ‘tostones’ (fried plantains), their very own brand of French fries, and a great range of mojitos in different flavours. They have a fish market right next door, which catches the freshest fish available. That is the source of all their seafood preparations. They not only like to innovate with their food, but love adding twists to their drinks as well. The conch and octopus cocktails are to die for. Vaiven Tasca en el Mar is a great place for a meal in Cabo Rojo, especially when you’re on the hunt for some good seafood. Get adventurous with your choices once you’re there, and you will not be disappointed! How popular is Vaiven Tasca En El Mar? People normally club together La Luna Lyn Restaurant and Cuesta Blanca while planning their visit to Vaiven Tasca En El Mar.